New York City is diving into VR in a big way with the launch of a virtual/alternate reality hub at NYU's Tandon School of Engineering. It'll serve to nurture companies and projects relying on the new technologies, with the hopes of cementing NYC as a place where AR/VR can thrive. The hub will be backed by $6 million in funding from the Mayor's Office of Media and Entertainment, as well as NYC's Economic Development Corporation. The city also claims that the NYU lab will also be the first publicly funded VR/AR hub in the country. While several institutions were in the running to host the hub, NYU won out because it's already home to plenty of VR projects. CUNY's Lehman College in the Bronx will also host a workforce development center to support the lab. City representatives had some lofty visions for where the VR and AR market is headed -- several brought up Citi Global's estimate that it could be worth $2 trillion within 10 years. The Mayor's Office also expects the hub to generate 500 jobs within the next decade. At a launch event today, there was plenty of excitement about the hub and NYC's increasing focusing on mixed reality projects. But there's also still plenty of work left to do before the city's vision becomes a reality. While it's going to take up an impressive 15,000 square feet at the Brooklyn Navy Yard, the city hasn't decided on a final location yet. And it's unclear if AR and VR companies outside of NYC will be tempted by the hub's promise of business development help, low rents and local connections to other industries. Based on the projects already tied to NYU though, there's plenty of potential for the hub to make a mark in the mixed reality world. Mediviz, for example, is using HoloLens to help doctors and medical students learn about human anatomy. It's also working on technology that can turn 2D CAT scans into fully explorable 3D renders. MOOR, meanwhile, is a project that helps artists create AR galleries of their 2D art. 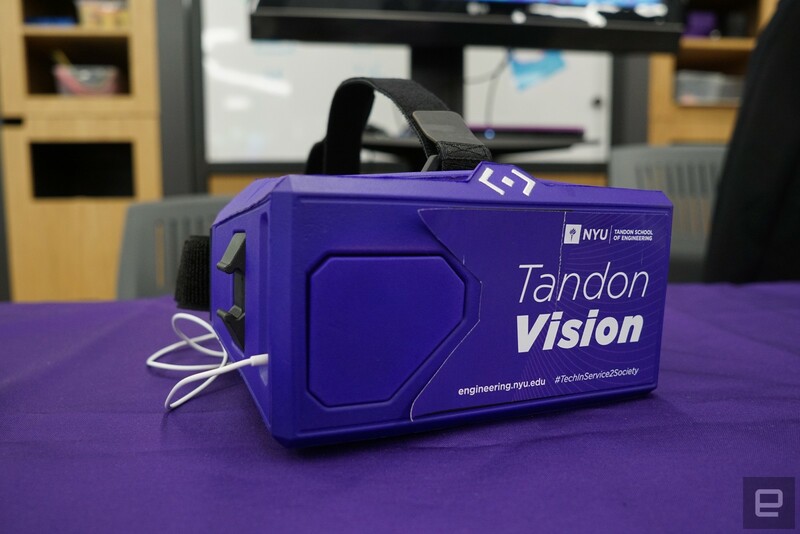 NYU Tandon also sent out Google Cardboard VR headsets to its 2020 class, along with a short VR experience that lets them explore the surface of Mars.